Should I accept the offer I received from the car insurance company for my car accident? 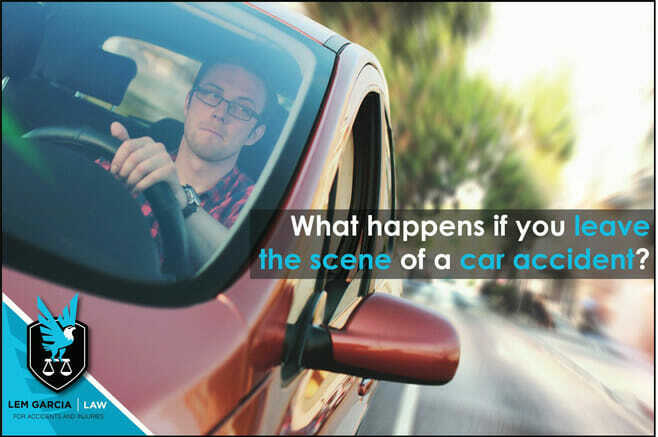 It’s surprisingly common for people to leave the scene after a car accident, which is a criminal offense. Whether you’re at fault for a car crash, it is your responsibility to stop and exchange information with the other driver(s). If someone is injured in a crash, it is also recommended that you provide assistance if it is safe to do so. In California, it can be a misdemeanor or a felony to leave the scene of an accident without exchanging information with the other party or parties involved. A hit and run can result in a misdemeanor if the crash only resulted in property damage. A hit and run can result in a felony if the crash resulted in someone getting injured. The information that you should exchange after a crash are the following: your name, current address, name and address of the car’s registered owner, driver license, vehicle registration, and insurance carrier information. A misdemeanor hit and run is punishable by up to 180 days in county jail, three years of probation, court fines of up to $1,000, and restitution to the victim. A felony hit and run is punishable by up to two to four years in state prison, court fines of up to $10,000, and restitution to the victim. Furthermore, a conviction of a hit and run can lead to paying more for car insurance and your license getting suspended. If you’re involved in a car crash, do everyone (including yourself) a favor and stop after a crash to exchange information and make sure that everybody is OK and file a police report. If you’re the victim of a hit and run, make sure to file a police report right away and document evidence of the damage to your car. It is also advisable to talk to an experienced personal injury attorney after you’ve been involved in a car accident. Neither the other party’s insurance company or your insurance company is looking out what is best for you. An experienced and trustworthy attorney will be able to provide you with solid legal information and advice and guide you in the right direction – even if they don’t take your case. Lem Garcia Law, personal injury law office in West Covina, helps people get their life back together after they have been injured in a crash. Call us anytime for a free, no obligation consultation.